Ralf Heinzmann studied Polymer Chemistry and works as a Global Technical Manager in the division Sealing & Bonding of Sika AG in Germany. He is also an active member of various technical committees. 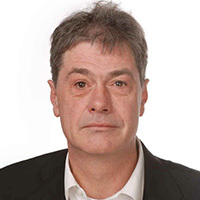 He is the Chairman of the German DIN standardisation committee Joint Sealants, Convener of Working Group 4 of CEN TC 349 Sealants for Joints in Building Construction, Head of the German Delegation to ISO TC 59 SC 8, and Chairman of Working Group 7 Sealants within the German Chemical Manufacturers Association VCI. One-component polyurethane sealants have been successfully used in the construction industry since the 1960s. These polyurethane sealants have outstanding mechanical properties, for example high elongation and tear propagation resistance. Additionally, their adhesion to typical construction substrates such as concrete and metals is excellent. The right combination of properties makes polyurethane sealants the optimal choice for high demanding applications such as industrial floor joints, façade joints and even for joints that are fully immersed in water or where the sealant is exposed to aggressive chemicals. The author presents various real-life examples and lab test results confirming the excellent performance of polyurethane sealants, under harsh conditions.